This rare 1960s paper nativity is simple to assemble: make four folds (along scored lines), place two pieces in slots — and enjoy! 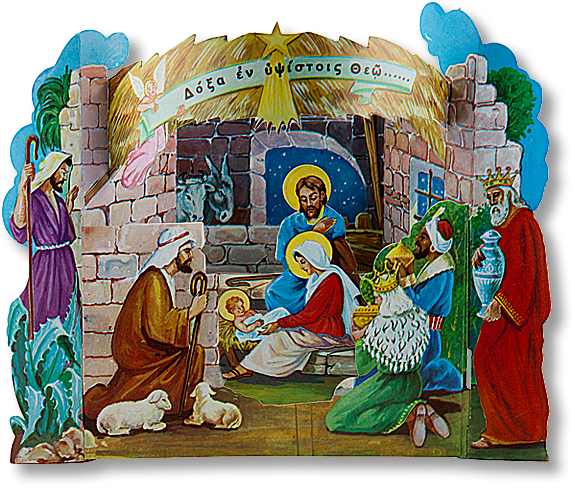 I thought I had seen the last of the Greek paper nativities — a 1960s crèche sheet from my youth. I couldn't believe my eyes when, doing my regular Monastiraki flea market run in Athens, I came upon a stash of paper nativities. From the 1960s, no less-when I boarded a ship to come to America. In search of the paper nativities of my youth, I've looked inMonastiraki — a maze of antique, junk, and old book shops, tavernas and tourists — many times before. No one seemed to have heard of a fatni, let alone have one for sale. 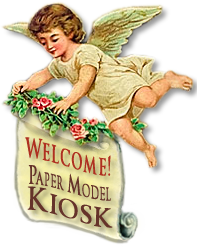 And then, hiding in plain sight, there they were: paper nativities! I couldn't believe my luck. And some of these were quite large nativities. OK, so their cellophane wrappers were a bit dusty. Once removed from their wrapping, they looked as though they came off the press yesterday. I wish this 50-some-year-old looked this good! From Greece, after five decades, enjoy! Size: 10 x 8 x 2 inches.